Click here to read or to listen to the entire story (4.4 minutes). This entry was posted in Financing, Nebraska / Midwest News, NewsBlog and tagged Investment Tax Credit (ITC) Extension, National Public Radio (NPR), Nebraskans for Solar, U.S. wind and solar development on December 30, 2015 by Helen Deffenbacher. Creighton University wants to assess the possibility of building a solar energy farm on the old Sarpy County Landfill along Cedar Island Road . . . Larry Hopp, director of Creighton’s Energy Technology Program, and Andrew Baruth, Creighton professor of physics, won the Sarpy County Board’s support Dec. 15 for an effort to study the costs and obstacles associated with building a solar farm on the site. 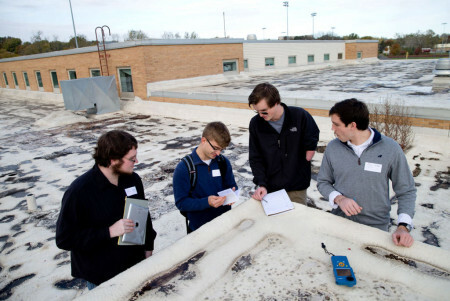 The study would be performed by students enrolled in Creighton’s Energy Technology Program and would represent the culminating task of their course of study. This entry was posted in Community Partners, Community-Scale Solar, Nebraska / Midwest News, NewsBlog and tagged Bellevue Leader, Dr. Andrew Baruth - Creighton University, feasibility study on using an old landfill in Nebraska for a solar farm, Larry Hopp - Director of Creighton University's Energy Technology Program, Nebraskans for Solar, Omaha.Com on December 28, 2015 by Helen Deffenbacher. Facilities that produce solar, biomass and landfill gas energy will face one less obstacle that could hinder the industry’s growth in Nebraska. A new state law will require facilities to pay a nameplate capacity tax, similar to one already imposed on wind energy, instead of a personal property tax. The nameplate capacity tax is on an energy facility’s potential output. County governments and project developers both generally prefer it over the personal property tax because it provides a consistent revenue stream for counties and lowers upfront costs for a facility’s owners. Read more here. This entry was posted in Nebraska / Midwest News, NewsBlog and tagged Associated Press, Nebraskans for Solar, new state laws in effect in 2016, Omaha.Com, renewable energy tax, Scottsbluff Community Solar Project on December 27, 2015 by Helen Deffenbacher. The following infographic is from a recent blog written by Rhone Resch, Solar Energy Industries Association’s CEO, with data sourced from SEIA and Greentech Media Research. Click here to read his blog. This entry was posted in Nebraska / Midwest News, NewsBlog and tagged Greentech Media Research (GTM), Investment Tax Credit (ITC) Extension, Nebraskans for Solar, Rhone Resch, Solar Energy Industries Association (SEIA) on December 24, 2015 by Helen Deffenbacher. 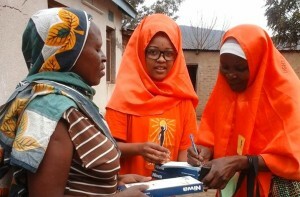 The gender inequalities that persist throughout the energy sector inspired the creation of the Renewable Equity Project (REP), a new initiative building knowledge and action on women’s advancement throughout the energy value chain — from engineering and technology to the boardrooms of energy corporations. 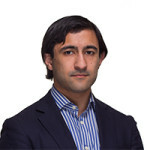 Housed at the Center for International Environment and Resource Policy (CIERP) at the Fletcher School of Law and Diplomacy at Tufts University, the initiative is the first effort to improve gender data across clean energy technologies and to demonstrate the impact that women’s advancement could have on expanding the clean energy economy. This entry was posted in Nebraska / Midwest News, NewsBlog and tagged Center for International Environment and Resource Policy (CIERP, Clean Energy Education & Empowerment (C3E), Fletcher School of Law and Diplomacy at Tufts University, Huffington Post, Massachusetts Institute of Technology Energy Initiative (MITEI), Precourt Institute for Energy at Stanford University, Renewable Equity Project (REP), Sierra Club International, Solar Sister.Org, U.S. Department of Energy (DOE), Women in Solar Energy (WISE) on December 23, 2015 by Helen Deffenbacher. About 9,000 average-sized homes will be able to be powered by two sites putting out 45 megawatts of new “clean, zero-emission” solar energy, DTE Energy officials said. “It’s definitely one of a kind,” spokeswoman Jennifer Wilt said [yesterday], Dec. 21, of the plan . 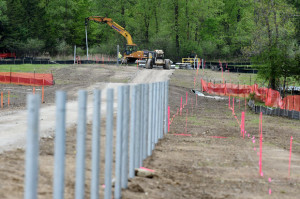 . . DTE would not release how much the projects cost because they’re still negotiating with contractors. 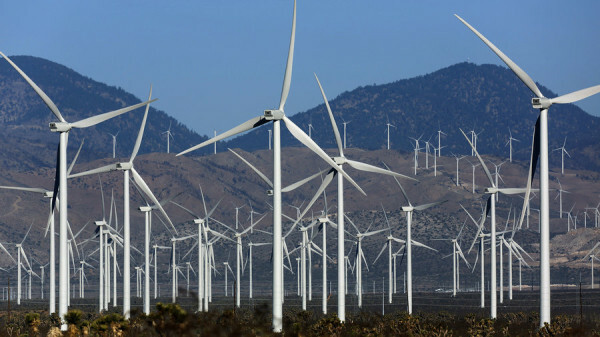 The company estimated it would cost under $2 per watt. This entry was posted in Nebraska / Midwest News, NewsBlog and tagged DTE Energy, Midwest renewable energy development, Nebraskans for Solar Michigan Live (MLive) on December 22, 2015 by Helen Deffenbacher. Before the Paris climate talks kicked off, Rachel Cleetus, lead economist at the Union of Concerned Scientists, had a message for utilities: Pay attention to the long-term decarbonization goals because they will shape your investments today. Based on an agreement between AEP Ohio and the Sierra Club announced Tuesday, the major electric utility could help Appalachian Ohio become a renewable-energy manufacturing hub for the entire state, producing enough solar energy to possibly more than quadruple the current capacity of solar installations in Ohio. NPR News: Wind Power Continues Steady Growth Across The U.S.
Michael Goggin, senior director of research at the American Wind Energy Association, says the wind industry is on-track to meet a plan laid out by the U.S. Department of Energy to generate a fifth of the country’s electricity by 2030. This entry was posted in Nebraska / Midwest News, NewsBlog and tagged EPA’s Clean Power Plan, Midwest Energy News, renewable energy news, U.S. renewable energy development, utilities decarbonization plans on December 21, 2015 by Helen Deffenbacher. 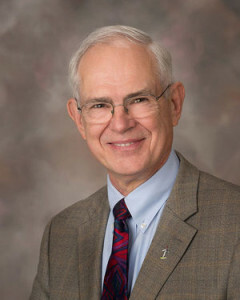 Senator Ken Haar has been at the forefront of climate change legislation in the Nebraska Legislature. Aware that there are some voices missing – those for whom climate change will have the most impact – the Senator is organizing a Nebraska Youth Summit on Climate and is seeking 50 applicants between the ages of 15-25. Participants will learn about the legislative process, community organizing, and speaking to elected officials and the press about climate policy. The day will culminate with a press conference in the Capitol Rotunda. Application Deadline: Sunday, January 10th at 11:59 p.m. Apply here. Please note that application does not ensure admission to the Summit. Selected applicants will be notified by January 15, 2016. Senator Haar has invited one of the best youth organizers in the nation as a special guest: Reverend Lennox Yearwood of the Hip Hop Caucus, who will also assist with some of the training during the Youth Summit. Nebraska Youth Summit on Climate Thursday, January 28th from 9:00 a.m. to 5:00 p.m. at the Nebraska State Capitol in Lincoln, 1445 K Street. The Summit will be limited to 50 youth ages 15 to 25, and an application is required. If you are between the ages of 15 and 25 and are considering this event, please give some thought to the following: What would you like to say to Nebraska’s legislators about how climate change will affect your quality of life in the future? How can you help pass good legislation to mitigate the worst effects of climate change in Nebraska? Get the tools you will need at the Nebraska Youth Summit on Climate. 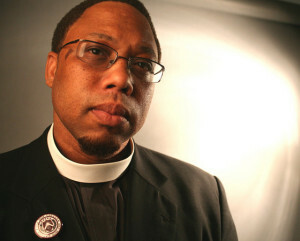 This entry was posted in Nebraska / Midwest News, NewsBlog and tagged Hip Hop Caucus, impacts of climate change on our youth, Nebraska Youth Summit on Climate, Reverend Lennox Yearwood, Senator Ken Haar, youth participation in climate change action on December 20, 2015 by Helen Deffenbacher. This historic vote brings the solar industry to the forefront of the conversation about American energy. The ITC extension makes America and its solar industry the world’s preeminent producer of clean and affordable energy. We commend members of Congress in both parties for taking this bold step and we look forward to delivering on the promise that this policy now offers all Americans. 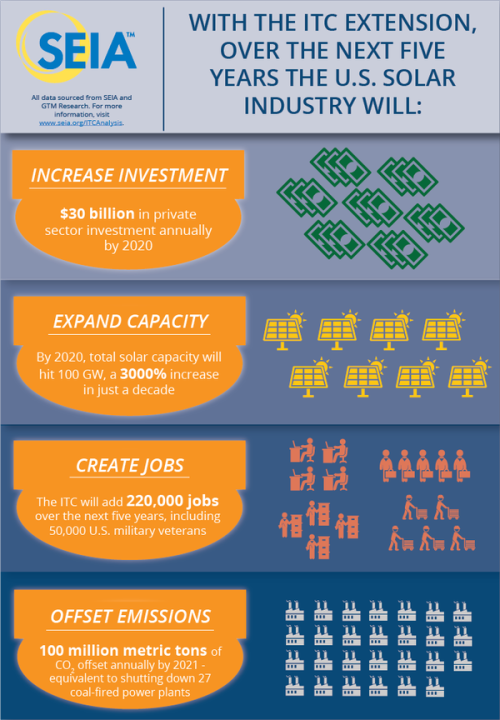 Thanks to the ITC, solar energy will add 220,000 new jobs by 2020, and with this extension, the solar industry can achieve its pledge of employing 50,000 veterans. Clean solar energy will cut emissions by 100 million metric tons and replace dozens of dirty power plants. Importantly, in the follow up to the Paris accord, this establishes the United States as a model for the reduction of greenhouse gases. A five-year extension of the ITC will lead to more than $133 billion in new, private sector investment in the U.S. economy by 2020. And much of this growth will come from small businesses, which make up more than 85 percent of America’s 8,000 solar companies. Solar power in this nation will more than triple by 2020, hitting 100 gigawatts. That’s enough to power 20 million homes and represents 3.5 percent of U.S. electricity generation. The solar industry now has a seat at the table with the nation’s other major electricity producers. Solar is the planet’s most abundant source of energy and offers all Americans clean electricity that can be built at scale and will make our nation proud and prosperous as a world leader in a new energy paradigm. 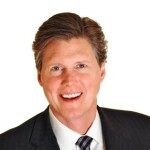 This entry was posted in Financing, Nebraska / Midwest News, NewsBlog and tagged Federal Policy, Finance and Tax, Nebraskans for Solar, renewable energy deployment & community economic development, Rhone Resch, Solar Energy Industries Association (SEIA), Solar Investment Tax Credit (ITC) on December 19, 2015 by Helen Deffenbacher. The technology behind solar power continues to ramp up in performance and drop in price. As it does so, the soft costs — permitting, financing, installation — are making up a bigger portion of the price tag for new projects . . . As a result, the biggest advances in the solar sector over the next years may not come from more efficient photovoltaics, but rather from simpler permitting rules and better business models for renewable energy. Local Nebraska governments interested in reducing the soft costs of installing solar in your communities can now apply to the new Solar Powering America by Recognizing Communities (SPARC) program. 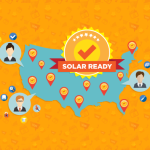 The U.S. Department of Energy’s SunShot Initiative selected The Solar Foundation to lead a $10.3 million solar technical assistance effort for local governments, through the Department’s Solar Powering America by Recognizing Communities (SPARC) Program. The combined technical assistance and designation program efforts seek to reduce solar energy’s soft costs in 300 communities over the next 3 years. 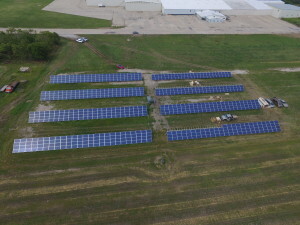 This entry was posted in Nebraska / Midwest News, NewsBlog and tagged DOE's Sunshot Initiative, E&E Publishing, Nebraskans for Solar, reducing barriers to solar development in Nebraska, reducing the soft costs of solar, Solar Powering America By Recognizing Communities (SPARC), The Solar Foundation on December 18, 2015 by Helen Deffenbacher.